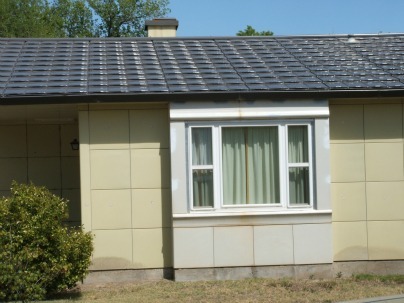 Lustron houses are prefabricated enameled steel houses developed in the post-World War II era United States in response to the shortage of houses for returning GIs. The low maintenance, extremely durable, baked on porcelain enamel finish was expected to attract modern families who might not have the time or interest in repairing and painting conventional wood and plaster houses. From Wikipedia.